Everything went exactly as I hoped. I will do all of my future dental work here.  The best part of my experience was the nice staff – excellent at their jobs. Five stars! The visit was initially for root canal therapy and two implants, but a detailed examination revealed the need for more extensive work, including the replacement of several crowns which had developed decay beneath them. Also, I was offered the service of replacing several amalgam fillings with composite, something which my American dentist had refused to do. Dr. Garita was patient in doing the work, and never was in a hurry, as well as being exacting in detail. Ultimately, all the work was done with patience, leaving me with an attractive and healthy mouth. From the first visit at ConfiDental Clinic to my final visit, all of the professionals that attended to me were constantly pleasant, caring – the most professional people that I could ask for. Dr. Garita was constantly concerned about my comfort and totally kind and patient with me. I have had many dental experiences in my nearly 70 years. This experience is 100% better than any other that I have had elsewhere. The clinic was professional, very clean, with a friendly doctor and staff. The communication what was the best part of my experience with ConfiDental Costa Rica. They were very helpful and caring. I had a wonderful experience at ConfiDental! From the first contact through my last appointment, the staff were professional, thorough, and most importantly, they were caring and kind! They helped with hotel arrangements, transportation, and recommendations for activities and restaurants during our stay. I highly recommend ConfiDental! The experience was excellent: very accommodating and professional. I had six veneers and a crown installed, and the work came out perfect! I am extremely happy! My experience was wonderful. We are very happy with the work. The staff is very professional and the receptionist was very sweet. Dr. Garita and Dr. Jimenez were very thoughtful and they listened to our concerns and met our expectations. Thank you. The care was very good. I’m so glad I came here. I will keep coming in the future. Dr. José Garita’s state-of-the-art dental office is a beautiful place where all the surgery takes place. Beautiful fresh Costa Rican flowers give this office lots of positive energy. The technicians are ready to start! …knowing I am in the best of professional hands. Since 2012, I have made this trip to Dr. José Gavita’s dental clinic 3 times replacing old dental work done by other dentists over my lifetime. I am thrilled that Dr. Garita’s lab will have my permanent porcelain veneers ready for my front upper teeth tomorrow. And it all happens in less than 4 days! Confidental has changed my life. The staff, dentists and Dr. Garita were the most professional and caring people. I will return in the future and plan on having them be the only dentist I will ever use. Never in my life have I ever such a great experience going to the dentist. No pain, no problems, all smiles. Thanks to them! They are the best. After a long battle with teeth problems and high cost in the states I decided to look outside the US to get all my teeth replaced with all on 4 dental implants. Upon consulting with Dr. José Garita I decided to do a full mouth restoration. I couldn’t be happier. The friendly and helpful staff made it a breeze. So happy to finally, after a lifetime of of comprimized teeth, to have a full set of strong, comfortable ones. The year long processe has been an interesting experance after years of researching dental medicine in Costa Rica. I am so glad I picked ConfiDental. Dr. Garita and his team have done their utmost to keep me informed and comfortable. I have been recommending ConfiDental to friends and family at home in Canada. Haawa is a Haida word from Haida Gwaii meaning thank you with gratitude. My experience with ConfiDental was fantastic. I’m not a doctor or a medical professional, but I can tell the difference between lip service and attention to detail. In the US, almost all of my medical and dental experiences are rushed. There is a steady pressure to do things quickly and move on to the next patient. At ConfiDental, it was the exact opposite. I can offer two examples. First, when I was being prepared, the team took extra time and care to dry my mouth. At the time, it seemed just uncomfortable. Then I realized why. By drying the surfaces, the lidocaine they used to numb the site was more precise. In the US, less care is taken; and I end up tasting the lidocaine that seeps away from the swabs. The extra attention to detail ensured that I was numb where I needed to be – and nowhere else. This attention to detail extended to the next step of pain management, in which novocaine was injected. Dr. Marcal took much longer than the US dentists and periodontists have. This extra time was spent really studying my jaw and making the injections more slowly and carefully. Afterward, he allowed plenty of time for it to take affect. The result is that I was numb where I needed to be, but not over the rest of my face. The second is in the suturing at the end of my visit. The team took a long time with the sutures. They moved slowly and deliberately. In prior work, in the US, the knots of the sutures were generally on the surface where food could get into them, and the ends of the sutures tended to irritate my tongue. The ConfiDental team tied the sutures so that the knots were between my jaw and cheek. This is a harder place to put the knots, but is makes so much more sense! There is less room over there, but the results were far more convenient for me. I don’t have a lot of experience with dental technologies, but I do know that attention to detail makes all the difference in health care. In the only two areas I could judge, pain management and suturing, the ConfiDental team took more time and paid more attention to detail than I have ever seen in any other health care context. I look forward to returning to Costa Rica the next time I need dental work. I had a crown made, three cavities filled, a bite plate, and my teeth cleaned. The work was exceptional and the pain was minimal, compared to previous experiences. I had the best dental experience of my life from March 13-26, and Dr. Garita probably saved my life with the dental work. Maybe they should rename the city, San Jose Garita! It is strange that we have to leave Florida and fly to Costa Rica for affordable dental care, but it is wonderful to have world-class care…better than my past dental experiences in the USA. We are happy to do it, with the ConfiDental team of Amalia, Kimberly, Marcella, Flora, Maybell, and Dr Garita…I hope I did not forget anybody. You folks are great. I have told many people about it. My wife and I are very lucky. Thanks very much. It is hard to express in words how wonderful Dr Garita and his team at ConfiDental have been to me! They have been available for every question I had in planning my two trips to Costa Rica and helped me with lodging and transportation. They always treated me with gentle kindness and respect. One evening after some additional dental work was needed the entire team stayed and worked until 9:15 pm and yet were still patiently attentive and smiling! I feel like I am leaving part of my family here in Costa Rica as I return home! I would recommend this team to anyone needing dental work large or small! I am a new patient from Denver Colorado. Our friend, Mauricio Jimenez referred my husband and myself to ConfiDental. I am very pleased with the care and treatment I received. I personally want to thank Dr. Marcela Jimenez, DDS, for her gentle and caring team for everything. I am looking forward to returning to Costa Rica in about 12 months, and I have complete confidence that I will receive excellent treatment and results. I had a wonderful experience. The price was the same as I was quoted and the doctors were awesome. Dr. Garita is amazing and is gentle tone put me at ease. I had an All-on-4 procedure on my lower jaw and was amazed at how little pain I experienced. I can’t say that surgery is fun, but I believe my dental surgery was about as good as it could be! I liked how Dr. Garita explained everything to me in a way I could understand. This dental experience was much better than any I have ever had. I would highly recommend it to anyone needing dental implants. I came to Costa Rica for a lot of dental work. After x-rays and an exam, the doctor spent a lot of time making sure I understood what was going to happen. After each procedure, the doctor would have follow-up inspection to make sure everything was as it should be.</p> <p>The personal attention from the doctor and staff, and all the help they gave us with transportation made our trip so easy – especially not speaking Spanish.</p> <p>Looking forward to coming back in a few months to complete the procedure! Excellent care, Professional staff. Very friendly. They cared for me after I was “out of it” from the procedure. For example, they called a taxi, got me into it directed the driver, THEN checked to be sure I got back to my hotel safely. Nothing but first rate. The whole staff went out of their way to make me glad I took the risk of doing something some told me was crazy. The work was as good, if not better than any I have had done. The location is very convenient to hotels and restaurants and across the street from a peaceful park. I highly recommend this to anyone. Very pleased with the personnel care they provide, the entire staff is very attentive. I highly recommend the staff at ConfiDental. They are professional and skilled at what they do while making you feel welcome and at ease.Thank you. ConfiDental, for my new smile! To be fair I had neglected my own dental care. I had had a couple of implants and some crowns to try to straighten some front crooked teeth, without much success, that was over twenty years ago. But in my seventies I felt the beginning of two front teeth starting to wear on the back. I let it go until they were so bad and worn down that I knew I had to do something. I knew I needed two crowns for sure. I thought while I was about it I would have veneers on the other six front upper teeth, a matched set. I had already done quite a bit of research on cosmetic surgery Costa Rica, so I was comfortable with their level of services. And that most dentists and cosmetic surgeons are US board certified. I contacted several services, some did not even bother to get back to me. One that did was and International patient coordinator. I failed to respond, I just was not ready. But he followed up, no pressure and overtime I got to feel comfortable with him. When I was ready he informed me of the dentist he recommended, Dr. Garita. Time spent at the office, less than eight hours total over five days. Cost. Including air fare and accommodation for 6 nights and food. $600. Per crown. Cost in US. I was quoted by my dentist. $950-1300 per tooth and two weeks to finish. I received a doctor’s referral to come to ConfiDental. Dr. Garita’s care was excellent and I felt like I was part of a loving family while at ConfiDental. Thank you! I was introduced to ConfiDental through a patient advocate at CostaRicaDentalGuide.com. After the initial email to ConfiDental, I received an immediate reply and was very pleased with the communication and pricing. I read many glowing reviews from past patients, and now I feel the same! Dr. Garita explained everything and the entire team took such great care of me. I would strongly recommend ConfiDental to friends and family. I felt very comfortable and cared for by a great staff. Painless procedure with good attention and care. Dr. Garita and his staff were right up to date with the latest in equipment and attitude. Dr.Garita is very thorough and patient. I was very impressed. I think I finally found my forever Dentist! My experience was very good and I felt the dentist was very honest and informative. If you’ve been thinking of going to Costa Rica to have some dental work don’t think any longer, book that flight. 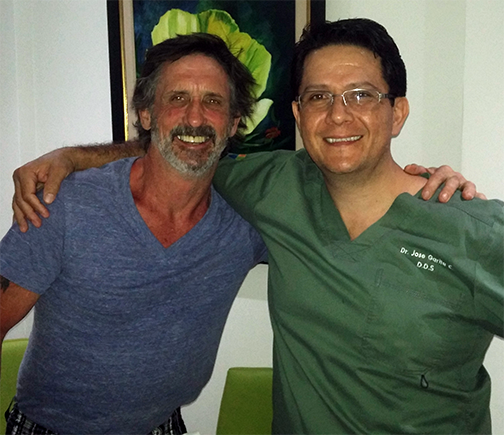 I just got back from Costa Rica and Dr. Jose V. Garita and his wonderful staff took good care of me. In 10 days I had 8, yes, (eight) crowns and 2 (two) veneers. You can’t even tell they aren’t my own teeth. I believe they would not have been this natural looking if I done them in the US. I’m already planning another trip to have my old fillings removed and replaced. As for the price, UNBELIEVABLE compared to the US. It seems a little strange to count memories of my time in oral surgery among the many pleasant ones I have of a week spent in Costa Rica. The time I spent in your offices was made very pleasant by the people of ConfiDental. Besides the very generous office wide effort to assist my learning Spanish, every person on your team was helpful, considerate, and unfailingly kind to both my daughter and me. I am so grateful to have met all of you, and I look forward to seeing you again in June. I also look forward to being much more fluent in Spanish at that time! I loved all the people I met at ConfiDental. They were all kind and made sure I was well taken care of. I even took cards home with me to pass out to family and friends so they could receive the best dental care! I want to thank you for the work you performed for me. The results were outstanding, the Crowns fit very well and the fillings look very good. The time you spent adjusting my bite has it better than it had been for 20 years. Your staff was very helpful and your English was flawless. Your expertise with anesthesia and pain control made the whole procedure very painless. I was able to enjoy visiting San Jose and the natural sites in the vicinity every day. After more than ten years and three attempts with reputable dentists to get decent dental bridgework, a leak had caused decay and bridge replacements, the appearance was never unacceptable, and one bridge caused recurring intermittent pain. I was poorer and generally fed up. Short of extracting all remaining upper teeth, I would never end the costly cycle, never have the smile I’d only dreamed of with comfort and functionality of fit. I considered Beverly Hills but a $22,000 estimate for nine units was a bit much. Then an acquaintance mentioned her experience with a Dr. Jose Garita in San Jose, Costa Rica. After emailing photos and receiving feedback from Dr. Garita, I decided to give it a try. His price estimate plus airfare, food and ten days’ hotel was less than half my most recent Florida estimate. Besides, my wife wanted to see some of Costa Rica. After ten marathon days of his conscientious care and meticulous attention to detail, Dr. Garita more than proved the validity of my friend’s praise for him. I now have the most beautiful, unobtrusive natural looking bridgework ever. With a totally comfortable, perfect fit around the gum lines! 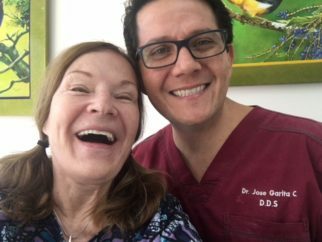 A big bonus was that my wife, fearful of dentists after bad experiences in her youth in another country, decided to give Dr. Garita a try after meeting him. She also became the recipient of his superb work — three bridges to replace long lost teeth, replacement of amalgam fillings, and other maintenance, all in the same ten days with the help of another dentist in Dr. Garita’s office. During our treatment, Dr. Garita offered us an educational tour of the dental lab. While I was having bridge fittings, the lab technician made himself available for minor corrections to his work for us. He hand carried the work back to his lab and returned it the following day. Producing the promised quality at the price he quoted, Dr. Garita guaranteed our satisfaction beyond us merely walking out his office door. And for my wife and me combined, the total cost (investment) was considerably less than it would have been in Florida. When we went to Costa Rica to find dental work, we were not looking for the best price, we were looking for the best care and also the best restoration work that would help increase our longevity and quality of life. Not only did we find that, but we learned later that the cost is between 1/3 to 1/2 of what we were used to paying inside the United States. We were also pleased to find out, that as a new patient, Dr. Garita paid for our first night in a nice hotel, paid for our transportation from the airport to the hotel, plus a ride from the hotel to the dentist office. (all included in the dentist bill). They even give you a list of hotels that would be close to his office. ConfiDental is so concerned about your fears going to a country that you have never been to before, they address your mental discomfort and fears of being in a strange country, by helping you find hotels you can feel secure and safe in. By the time we made our third trip to San Jose, Costa Rica, ConfiDental makes San Jose feel like a home away from home. As far as Jan’s dental work that was done, she had one implant put in, and several bridges replaced. Dr. Garita is a very gentle dentist, who is very caring and kind. Jan had only intended to have her teeth cleaned and and have X-Rays done. Once Jan saw the quality of work and materials used, and the absence of pain Jim experienced getting zirconia bridges, she also wanted more dental work done by Dr. Garita. Dr. Marcela Jimenez, also was very gentle cleaning my teeth and considerate of the pain level. I have TMJ, and both Dr. Garita and Dr. Marcela were willing to work with me, (considering the TMJ) not to cause me too much discomfort. Anyone reading this should be aware that Dr. Marcela Jimenez, is a general dentist, Dr. Garita is a dental surgeon. His brother is a dentist, their father was a dentist, and their grandfather was a dentist. Dr. Garita is a third generation of dentists in his immediate family, who has learned not only from his schooling, but also the personal care he must have experienced from his father and grandfather. 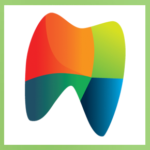 On a scale of 5 stars, Dr. Jose Garita from ConfiDental Dentistry in San Jose, Costa Rica, deserves more than 10 stars. Between the two of us, we have been cared for by more than 6 different dentists in the United States. The best dental care was in Hastings, Minnesota, until we met Dr. Jose Garita. The equipment and the care, the variety of options and the methods used to block the pain were superior to anything we have experienced in the United States. When looking for a knowledgeable, painless, caring dental surgeon, look no further, … ConfiDental and Dr. Jose Garita is a real find! My dental experience in Costa Rica. To be fair I had neglected my own dental care. I had had a couple of implants and some crowns to try to straighten some front crooked teeth, without much success, that was over twenty years ago. But in my seventies I felt the beginning of two front teeth starting to wear on the back. I let it go until they were so bad and worn down that I knew I had to do something. I knew I needed two crowns for sure. I thought while I was about it I would have veneers on the other six front upper teeth, a matched set. I had already done quite a bit of research on cosmetic surgery Costa Rica, so I was comfortable with their level of services. And that most dentists and cosmetic surgeons are US board certified. I contacted several services, some did not even bother to get back to me. One that did was Jake Roberts an International patient coordinator. I failed to respond, I just was not ready. But he followed up, no pressure and overtime I got to feel comfortable with him. When I was ready he informed me of the dentist he recommended, Dr. Garita. I was told I would need at least five working days for my procedure. Two crowns and six veneers. I arrived in Costa Rica on Sunday for a 10am. appointment on Monday. I arrived at 10 am. His staff were personable and accommodating. One of the other dentists drove me to another facility for 3D imaging. I paid an extra $20. For that, but it was worth it. Dr. Garita had a complete image of my total mouth and teeth. So he knew exactly what needed to be done. He checked the strength of my bite and explained that as I had a very strong bite, veneers would not be appropriate. He also explained that I should go with the strongest type of material. Zirconia with porcelain. There was no difference in price, except crowns would be more expensive than veneers, but not by much. I had already determined crowns would be much longer lasting. We agreed. He started the prep work. Removing the existing three crowns that I suspect was the hardest part. He had given me local anesthetic so I could feel nothing. What had originally felt was it would take Monday and part of Tuesday for prep. Monday afternoon after four hours, prep was completed and I left his office with temporary teeth, which I thought looked pretty good. I must point out, Dr. Garita s facility is well equipped and spotless. His rooms are light and spacious with modern equipment and a spectacular view over the park. Tuesday was a free day. As I had not heard anything more. I called Wednesday morning to get an update. I was told my crowns would be back from the lab at 5pm. And they would fit them at that time. I spent around an hour while he made adjustments to make sure they were comfortable. It is quite remarkable how they produce the crowns. Once in I still had the protruding front teeth. He explained that as the crown is mounted over the offending teeth they would sit exactly the same. But they took more molds so that the lab can mount the crowns as though they were in my mouth. At that point they would build up the offending crown to match the one beside it. At that time they would also match the color I had chosen. Next morning, Thursday I was asked to be at the office at 1.30 for the final fitting and cementing. Once everything was cemented. We looked at them. On the two front teeth there was a slight imperfection. My thought was to leave it as it made them totally natural. I didn’t think he was comfortable with that, so I took a photo and texted it to my wife for opinion. She agreed with Dr. Garita. By mid afternoon I had my new teeth. They were comfortable and completely natural. Natural to the point that I don’t even look at them in the mirror. I am glad I stayed the extra day just in case I needed an adjustment. But everything was fine. The worst part was having the cement removed from around the gums and between the teeth. But it was also an important part. On a side note, after my return my wife and I were talking to a friend who like my wife has perfect teeth. We were talking about my having the crowns. I remarked that I had never known two women with such natural perfect teeth. She nodded her head and said, “no, these are veneers” we were in shock. She then told us her husband had veneers on his lower teeth. But because he grinds his teeth he has been told they will have to be replaced with crowns. Six crowns, $6000. He hasn’t had them done yet so I will take him with me next time I go. Glad Dr. Garita suggested I stay away from veneers.